You may find yourself lounging on your couch one day, totally immersed in your latest movie binge when your face is suddenly besmirched with aerial liquid poison (or you know, just water.) A sudden dawning and wave of dread may overcome you. You have a leaking roof, and what does that mean? You’ll need to whip out your magnifying glass and do some detective work so roof leak repair can be implemented-and fast! Avoid the hassle of holding a bucket & contact a roof leak repair service today! If there is water coming down and landing on your face in the middle of a comfy nap. All jokes aside, you might see trail coming down from the corners or cracks of your attic ceiling or even a sneaky water trail down your wall. A good indication is a water stain on your ceiling where the water has pooled. Finding a roof leak can be tricky but through investigation and experimentation you may be able to pinpoint the area or areas where water is coming through. Most roof leaks can be found in your attic with a handy flashlight in hand and a loyal friend on the roof with a hose on the other side. Additionally, the first thing to look for are roofing penetrations as they are the most likely cause. It can be quite the adventure. OR, if you’d rather avoid all that Sherlockian investigating, installing an Infrared Roof Leak Scan may be an option to pursue in the future as this fancy technology will skip all the manual work and give you instant gratification and insight on the location and damages bestowed on your roof. If there is inclement weather it can be an issue. Roof leaks in heavy rain could cause detrimental large scale damages to your roof, ceilings, walls and in some cases your personal possessions. When you want to go about how to fix a leaking roof, here are some helpful informational tips. Check the roofing exterior around the same area of the corresponding water stain on your ceiling. Flat roof leak repair can be essentially easy to spot yet even for these types of roofs water can travel some distance before it finds a seam or sheathing to seep inside. If the issue is a loose shingle, you could run down to your nearest hardware store and get a sheet of galvanized metal flashing, lift the damaged shingle and push in the flashing underneath. If you’d prefer expansive covering, you could purchase a 6 mil polyethylene plastic sheeting and unfurl it on the damaged roof area from eaves to peak. It is recommended to wrap the ends of the sheeting around a 2 by 4, sandwich that with another 2 by 4, and nail the two together with 3 or 3 ¼ inch common nails. Get a bucket, throw protective sheets over your furniture and floors and call it a day until a Residential Roof Repair professional comes over. If your roof has issues that are relatively minor, you can patch them up with relatively easy quick solutions. If there is shingle that needs to be replaced or is missing, lift the four corners with a pry bar and use a hammer to remove any possible nails. Slide it out and scrape any remaining cement underneath. Slide the new shingle in place and nail the corners down with 1 1/4 inch galvanized roofing nails. Finally, use a trowel to apply roofing cement over the four nail heads and the edges of the new shingle. Blown shingles, bald spots & missing granules are all signs that you may need roof repair or replacement. An unexpected roofing emergency or minor roof leak repairs can cause a variety of stresses in your down time. If any or all of this sounds like too much trouble to tackle on yourself and you’d rather indulge and watch a game, read a book, go to a coffee shop or even if you’re just lazy! Calling your local roofing repair service is A-OK! At least you’ll be sure that the job will be done with more technical know how and sturdier application! If you notice any signs of roof damage, call OnePro Roofing at (321) 354-1600 for roof replacement in Winter Park, FL! We’re more than able to have your roof repaired or replaced for you right away! 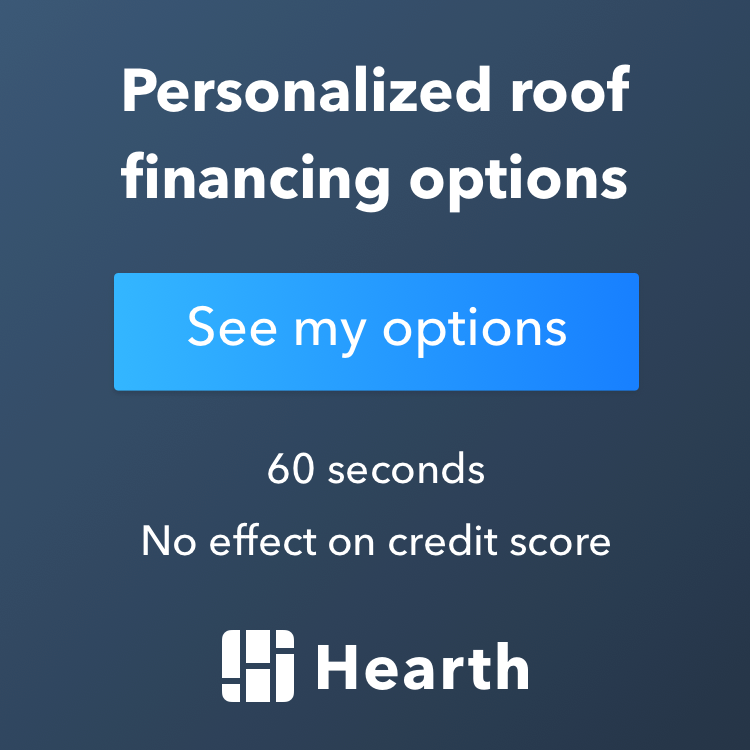 Posted in Uncategorized on February 28, 2019 at 3:17 pm by OnePro Roofing.